The rules for travel to Cuba have changed dramatically over the last year, so keeping up with the latest regulations requires some research. The U.S. has developed a special collection of laws pertaining to Cuba travel, trade and investment. These restrictions and rules are often referred to collectively as the Cuban embargo. Generally, people can easily travel to Cuba by self-certifying that they are traveling to experience the culture of the island (otherwise known as “people-to-people”). Here is some relevant information for travel to Cuba for most people. The Cuban Assets Control Regulations are administered and enforced by the Office of Foreign Assets Control (OFAC) of the U.S. Department of the Treasury and affect all U.S. citizens and permanent residents wherever they are located, all people and organizations physically located in the United States, and all branches and subsidiaries of U.S. organizations throughout the world. The regulations require that persons subject to U.S. jurisdiction be licensed in order to engage in any travel-related transactions pursuant to travel to, from, and within Cuba, or that the transactions in question be exempt from licensing requirements. Transactions related to travel for tourist activities are not licensable. This restriction includes travel to Cuba for tourist activites from or through a third country, such as Mexico or Canada. U.S. law enforcement authorities enforce these regulations at U.S. airports and pre-clearance facilities in third countries. Travelers who fail to comply with Department of the Treasury regulations may face civil penalties and criminal prosecution upon return to the United States. All travelers to Cuba, including religious workers, should contact the Cuban Embassy in Washington to determine the appropriate type of visa required for their purpose of travel. Cuba requires visitors to have non-U.S. medical insurance, and sells a temporary policy to those who do not have it. Questions about this insurance requirement should be directed to the Cuban Embassy. Cuban authorities do not demand HIV tests of travelers to Cuba, with the exception of foreign students on scholarships. The Cuban authorities accept the results of HIV tests conducted by labs in the United States. For the latest information on U.S. regulations governing travel to Cuba and to view the most accurate and updated travel restrictions information, see the Department of the Treasury’s OFAC website. General & Specific Licenses for Travel: The U.S. Department of the Treasury’s Office of Foreign Assets Control (OFAC) has issued general licenses within the 12 categories of authorized travel for many travel-related transactions to, from, or within Cuba that previously required a specific license (i.e., an application and a case-by-case determination). Travel-related transactions are permitted by general license for certain travel related to the following activities, subject to criteria and conditions in each general license: family visits; official business of the U.S. government, foreign governments, and certain intergovernmental organizations; journalistic activity; professional research and professional meetings; educational activities; religious activities; public performances, clinics, workshops, athletic and other competitions, and exhibitions; support for the Cuban people (this is the “people-to-people” option); humanitarian projects; activities of private foundations or research or educational institutes; exportation, importation, or transmission of information or information materials; and certain authorized export transactions. Close relatives are also now allowed to visit or accompany authorized travelers for certain activities. No further permission from OFAC is required to engage in transactions covered by a general license. OFAC considers requests for specific licenses on a case-by-case basis for travel that relates to one of these categories but does not fall within the scope of a general license. However, it is OFAC’s policy not to grant specific licenses authorizing transactions for which the provisions of an outstanding general license are applicable. See 31 C.F.R. § 501.801(a). For further information on travel to Cuba under a general or a specific license, consult OFAC’s Cuba Sanctions website. Persons subject to U.S. jurisdiction are prohibited from doing business or investing in Cuba unless licensed by OFAC. An OFAC general license authorizes the exportation from the United States, and the re-exportation of 100 percent U.S.-origin items from third countries, to Cuba only in those cases where the exportation or reexportation is licensed or otherwise authorized by the Commerce Department. The Commerce Department currently authorizes limited categories of items to be exported or reexported to Cuba. Persons subject to U.S. jurisdiction authorized to travel to Cuba may import into the United States as accompanied baggage merchandise acquired in Cuba with a value not to exceed 400 USD per person, including no more than 100 USD in alcohol and tobacco products. 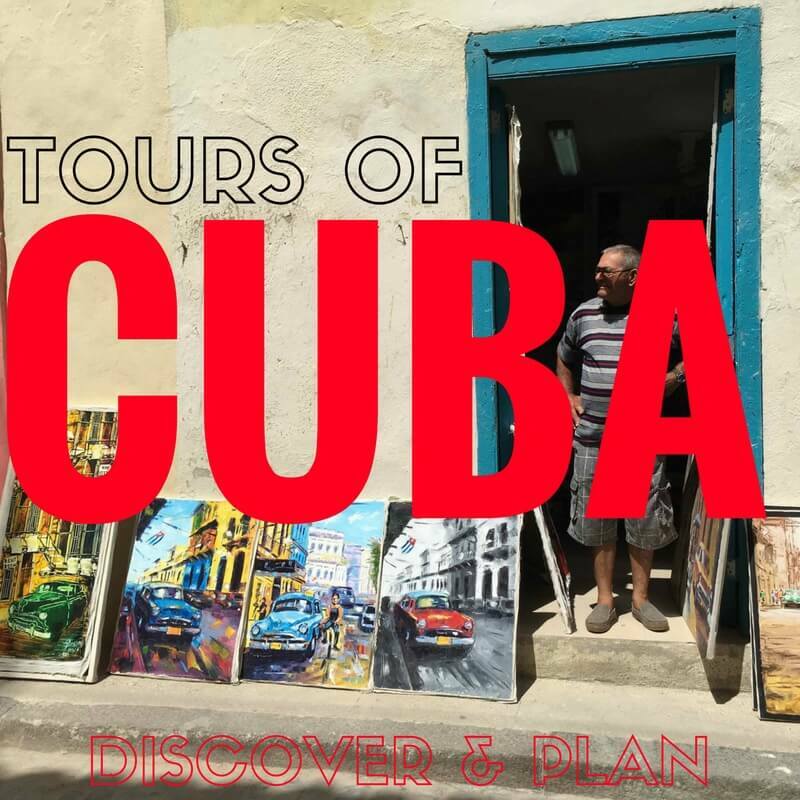 Cuban Requirements for Authorized Travelers: Should a traveler receive a license to travel or qualify under an existing general license, a valid passport is required for entry into Cuba. The Cuban government may also require that the traveler obtain a visa. The Cuban Embassy in Washington issues visas. Attempts to enter or exit Cuba illegally, or to aid the irregular exit of Cuban nationals or other persons, are prohibited and punishable by stiff jail terms. Entering Cuban territory, territorial waters or airspace (generally within 12 nautical miles of the Cuban coast) without prior authorization from the Cuban government may result in arrest or other enforcement action by Cuban authorities. Immigration violators are subject to prison terms ranging from four years for illegal entry or exit to as many as 30 years for aggravated cases of alien smuggling. Visit the Cuban Embassy website for the most current visa information. Civilian Aircraft Travel: For additional information on restrictions on aircraft flying between the United States and Cuba, see the FAA’s website. Temporary Sojourn License: Most aircraft and vessels on temporary sojourn to Cuba are eligible for License Exception Aircraft, Vessels, and Spacecraft (AVS) (Section 740.15 of the EAR). Please see the U.S. Department of Commerce’s Bureau of Industry and Security website for additional information. Vessels of the United States, as defined in 33 CFR §107.200, may not enter Cuban territorial waters without advance permission from the U.S. Coast Guard. The U.S. Coast Guard provides permission information at (305) 415-6920. The security environment in Cuba is relatively stable and characterized by a strong military and police presence throughout the country. Demonstrations against the United States are less frequent and smaller than in past years. They are always approved and monitored by the Cuban government and have been peaceful in nature. The same cannot be said about state-organized demonstrations against domestic opposition groups, which can be violent. U.S. citizens should avoid all demonstrations.Hijackings of vessels by those seeking to go to or depart from Cuba are no longer common. The United States government has publicly and repeatedly announced that any person who hijacks (or attempts to hijack) an aircraft or vessel (whether common carrier or other) will face the maximum penalties pursuant to U.S. law, regardless of nationality. In recent years, the Cuban government has detained U.S. citizens it suspects of engaging in activities perceived to undermine state security. In 2011, it sentenced one such U.S. citizen to a lengthy prison sentence on arbitrary charges after a two-day trial that did not comport with due process. U.S. citizens traveling to Cuba should be aware that the Cuban government may detain anyone at any time for any purpose, and should not expect that Cuba’s state security or judicial systems will carry out their responsibilities according to international norms. Cuban territorial waters are extremely dangerous and difficult to navigate, even for experienced mariners. The potential for running aground is very high. Search-and-rescue capability in Cuba is limited and running aground will often lead to the complete destruction and loss of the vessel. U.S. boaters who enter Cuban waters have encountered problems that required repairs and/or salvage; costs for both are significantly higher than comparable services in the United States or elsewhere in the Caribbean. Cuban authorities typically hold boats as collateral payment. U.S.-registered or flagged vessels belonging to U.S. citizens have been permanently seized by Cuban authorities. Repairs take significantly longer in Cuba than they would in the United States due to lack of the most basic materials and to bureaucratic impediments. Boaters are often confined to their boats while repairs are made. Boaters can be detained while Cuban authorities investigate the circumstances of their entry to Cuba, especially if their travel documents are not in order or if they are suspected of illegal activities. Mariners and their passengers should not navigate close to Cuban territorial waters unless seeking a safe port due to emergencies. The ability of the U.S. Embassy to assist mariners in distress is limited due to Cuban restrictions on travel by U.S. personnel outside of Havana. Nevertheless, notifying the U.S. Embassy is the most reliable way to obtain assistance. The transfer of funds from the United States to Cuba to pay for boat repair and salvage is subject to restrictions relating to commercial transactions with the Government of Cuba. A Department of the Treasury license is required for such payments and applicants should be prepared to provide documentary evidence demonstrating the emergency nature of the repairs. Historically, U.S. credit or debit cards, personal checks, and travelers’ checks could not be used in Cuba so boaters should check first with their financial institution and be prepared to pay for all transactions in cash, keeping in mind that the Government of Cuba also does not allow the use of the U.S. dollar. Currency Regulations: Since November 2004, the U.S. dollar has not been accepted for commercial transactions. Historically, U.S.-issued debit and credit cards were not accepted in Cuba, however travelers should check with their financial institution before traveling to determine whether the institution has established the necessary mechanisms for its issued debit and credit cards to be used to Cuba. The Cuban government requires the use of convertible Cuban pesos or non-convertible Cuban pesos (“moneda nacional”) for all transactions. The official exchange rate for convertible Cuban pesos (CUC) is 1 USD = 1 CUC; however, a minimum 10 percent fee for exchanging U.S. dollars and other transaction fees make the effective exchange rate at hotels, airports, and currency exchange houses lower. The current exchange rate for CUC to non-convertible Cuban pesos (CUP) is 1 CUC = 24 CUP. In 2013, the Cuban government announced plans to consolidate its dual-currency system into a single system, but to date has not provided a timeline for when this change will occur. What May Be Brought Back From Cuba: Returning U.S. travelers may carry up to 400 USD of Cuban-origin goods for personal use, 100 USD of which may be alcohol or tobacco products. Separate from this 400 USD limit, certain imports of goods produced by independent Cuban entrepreneurs are authorized, as set forth on the State Department’s Section 515.582 List. If U.S. travelers return from Cuba with unauthorized goods of Cuban origin, such goods, with the exception of informational materials, may be seized at U.S. Customs’ discretion (see 31 CFR section 515.204). Cuban cigars and rum are routinely confiscated at U.S. ports of entry. Purchasing Cuban cigars and rum in a “duty-free” shop at the Havana Airport does not exempt them from the 100 USD limitation for personal use, and if not compliant with the regulation, seizure by U.S. Customs. There are no limits on the import or export of informational materials as set forth in 31 C.F.R. section 515.206. Blank tapes and CDs are not considered informational materials and may be seized. To be considered informational material, artwork must be classified under Chapter subheading 9701, 9702, or 9703 of the Harmonized Tariff Schedule of the United States (for example, original paintings, drawings, pastels, engravings, prints, and sculptures are exempt from import and export restrictions). While in Cuba, U.S. citizens may encounter very poor and dangerous road conditions. The information below concerning Cuba is provided for general reference only, and may not be necessarily accurate in a particular location or circumstance. Driving is done on the right-hand side of the road, as in the United States; speed limits are sometimes posted and generally respected in urban areas. Passengers in automobiles are generally required to wear seat belts, and all motorcyclists are required to wear helmets. Unconfirmed reports suggest that accidents involving motor vehicles are now the leading cause of death in Cuba. Many accidents involve motorists striking pedestrians or bicyclists. Drivers found responsible for accidents resulting in serious injury or death are subject to prison terms of up to ten years, and Cuban authorities may prohibit drivers of rental cars who are involved in accidents from leaving the country until all claims associated with an accident are settled. Witnesses to vehicular accidents may not be permitted to leave Cuba until an investigation into the accident has been completed. Taxis are available in busy commercial and tourist areas; radio-dispatched taxis are generally clean and reliable. Travelers should be cautious in sharing information with taxi drivers or other strangers. In addition, travelers should not accept rides in unlicensed taxis, as they may be used by thieves to rob passengers. Buses designated for tourist travel, both between and within cities, generally meet international standards for both cleanliness and safety. Public buses used by Cubans, known as “guaguas,” are crowded, unreliable, and havens for pickpockets. These public buses usually will not offer rides to foreign visitors. Although popular with tourists, the three-wheeled, yellow-hooded “Co-Co” taxis are considered unsafe and should be avoided. “Co-Co” taxis are modified motorcycles that reach speeds of up to 40 mph, but have no seat belts or other safety features. Drivers should exercise extreme care. Although the main arteries of Havana are generally well-maintained, secondary streets often are not. Many roads and city streets are unlit, making night driving dangerous, especially as some cars and most bicycles lack running lights or reflectors. Street signage tends to be insufficient and confusing. Many Cuban cars are old, in poor condition, and lack turn signals, reliable brakes, and other standard safety equipment. The principal Cuban east-west highway is in good condition but lacks lighting and extends only part of the way from Havana to the eastern tip of the island. Road signage on highways may be lacking or confusing. Night driving should be strictly avoided outside urban areas. Lack of emergency lights or signals makes it virtually impossible to detect hazards at night. There have been multiple recent fatalities and serious injuries to U.S. citizens who have collided with broken down vehicles or trucks with no headlights on Cuban highways at night. Secondary rural roads are narrow, and some are in such bad condition as to be impassable by cars. Due to the rarity of cars on rural roads, pedestrians, bicycles, horse-drawn carts, and farm equipment operators wander onto the roads without any regard to possible automobile traffic. Unfenced livestock constitute another serious road hazard. Rental car agencies provide roadside assistance to their clients as a condition of the rental contract. Automobile renters are provided telephone numbers to call in case of emergency; agencies generally respond as needed with tow trucks and/or mechanics. A similar service is available to foreign residents of Cuba who insure cars with the National Insurance Company. Anecdotal reports indicate the maintenance that rental car agencies provide to their fleets is inadequate and may cause an accident. Cuban authorities may prohibit drivers of rental cars who are involved in accidents from leaving the country, even if they are injured and require medical attention, until all claims associated with an accident are settled. Travelers should not permit unauthorized persons to drive their rental vehicles. Please refer to our Road Safety page for more information.